My latest photographic safari was to shoot the Gamma Delphinus Meteor Shower. I decided a spot on top a mountain north of town would probably be a good location. It was far enough away from the light pollution of the Phoenix metro area that it might not be a problem. I'd visited this vista on the way to Seven Springs a couple times before and has 360 degree views. The main view faced east towards the meteor shower origin and worked out great. The light from the FAA radio tower array was a bit much though. Keeping glare out of the shots was all but impossible. I really liked the idea of having the transponder tower in the shots though, so I tried to make the best of it. The meteor shower was kind of lame. I had no idea if the fast moving and faint falling stars would actually image or not. I did manage to capture a few, but they were small and faint just like what I was seeing with my eyeballs. It had all but fizzled by 1:30 and I gave up at 2am and drove home. Putting the above shot together was a nightmare. 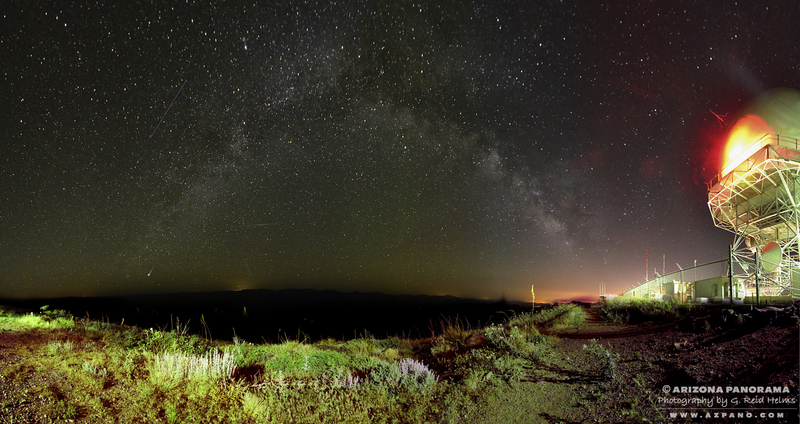 This was the first time I tried to do a Milky Way panorama. I usually have my act down shooting panoramas... it's kind of my thing. But the Milky Way was high overhead and I had to improvise. If I'd shot it a little earlier when it was lower in the sky, it would have been so much easier. So, I tilted the camera up and did my normal pan. Stitching the shots together manually took a while and was more difficult than I imagined. I finally achieved a decent pano and stacked the static shots of the meteors I'd managed to capture into the final piece. Night photography is all the rage right now. A bunch of my favorite photographer friends on Facebook and Google+ are cranking them out in various locations around the country. Seems like everyone has switched gears. 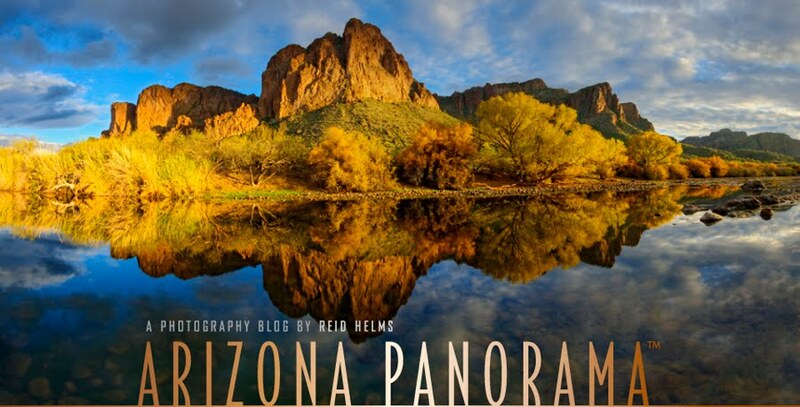 I've seen some amazing images on lakes, with bridges, on roadways and in the mountains... and quite a few panoramas too. It's much harder than it looks and my Nikon D7000 was barely sufficient in producing quality images. I think my 10mm lens was actually too wide and added too much distortion to the sky especially in the panorama shots. It was a good learning experience though. Nevertheless, I had a blast shooting and hoping things would turn out. The night was cool enough I had to wrap a blanket around me to stay warm. This was in light of the fact it had been over 110 in the valley that day. Needless to say, I was delighted to feel the cool air and get a bit of a chill. I felt like a creature of the universe as I gazed into the night sky anticipating the next shooter. It sort of reminded me of fishing... waiting for the next bite and hoping it would be a big one! And like fishing, I can't wait to try it again!